Girls and women everywhere are proving that, when they're given equal opportunities, they can achieve whatever they put their minds to. But still, education access and employment opportunities aren't being made equally accessible. Period poverty is a significant barrier, with girls having to drop out of school because they simply can't afford the menstruation products they need. You can join us by taking action here for the UN Global Goals for gender equality, and adequate water and sanitation for everyone. Around the world, millions of girls are being forced to miss school because they can’t afford period products. In place of tampons and pads, young girls are resorting to using old clothes, rags, newspapers, leaves, bark, and grass to try to stop the leaks. Across Africa, a 2016 study by Human Rights Watch estimated that 1 in 10 girls are having their education interrupted because of their periods. And some are having to drop out of school altogether. Ultimately, it’s having a massive impact on their education and can leave a legacy that lasts a lifetime. That’s why the MINA Foundation has launched an initiative to provide free menstrual cups to young women and girls to prevent a setback in their education. 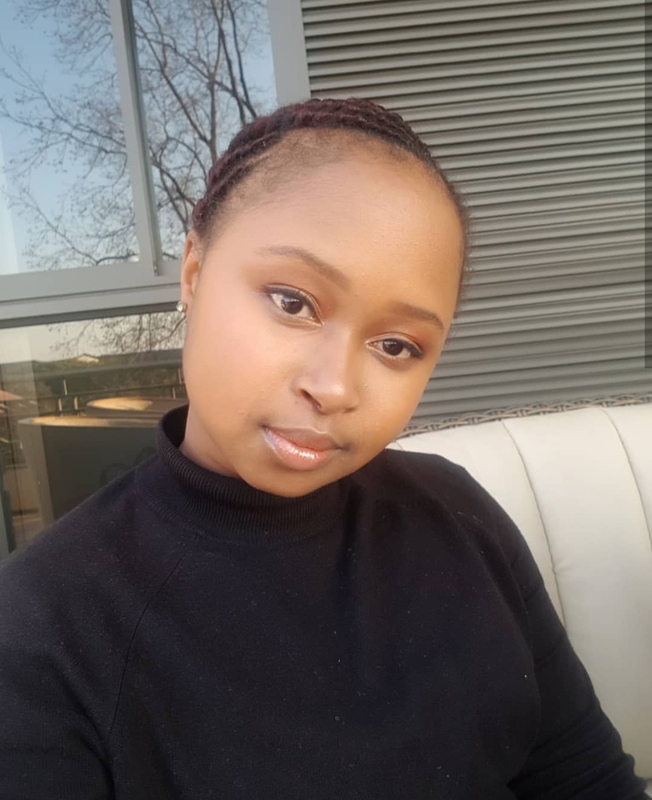 “We are passionate about bridging the gap between classes and life,” Zaakira Mahomed, who founded MINA, the Zulu word for “mine”, told Global Citizen. “We want as many young women and girls as possible to join the menstrual cup movement. We are a team on a mission to MINA-rise the world,” she said. Mahomed founded the organisation because she was struggling to raise funds for her own local sanitary pad drive. The MINA Foundation was then officially launched in 2015 and is run by just three women who produce and distribute the menstrual cups, as well as teaching young women and girls about feminine hygiene and sanitation. The team, which is based in Johannesburg, has now visited over 100 schools and has distributed over 20,000 menstrual cups to young girls. On October 24, Global Citizen partnered with Mina Foundation, the Department of Health, and the Department of Social Development, for an event in Katlehong, Ekurhuleni. Over 400 people gathered for an educationanal and inspirational day hosted by Tiyang Basadi and the Mina Foundation — covering a whole range of health-related topics, in support of the UN Global Goals for health, the environment, and gender equality. And attendees who had opted to try a complementary Mina menstrual cup were entered into a draw — with 20 pairs of tickets to Global Citizen Festival: Mandela 100, presented and hosted by the Motsepe Foundation, given away to winners. The MINA team also facilitates teaching sessions with the young girls, so that they know how to use the cup, and also shows them how much safer, reliable, and easy it is to maintain the cups. MINA aims to save the planet and give young girls their power back, one cup at a time. The cups themselves are made out of 100% silicone, making them soft and flexible enough to insert. They also have a lifespan of up to five years, making them more eco-friendly than traditional period products. They can be worn for up to 12 hours, depending on your flow, which makes your period less admin-intensive, compared to the frequent changing of tampons and pads. Because of the longevity of the cup, it reduces the cost dramatically — making it a valuable product. This allows for girls around the world to continue with their education seamlessly which, in turn, helps them gain the necessary tools to make themselves a success in the future. 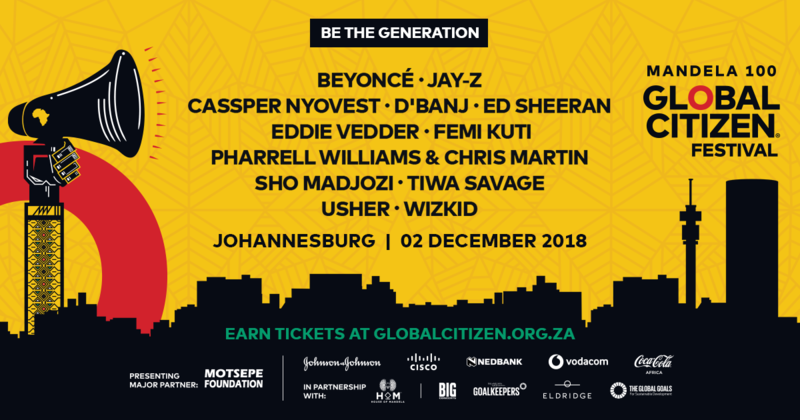 Empowering young women and advocating for gender equality is a key focus of the Global Citizen Festival: Mandela 100, in proud partnership with the Motsepe Foundation, coming to Johannesburg on 2 December. Women and girls are disproportionately affected by poverty and if the world doesn’t unite to uplift them, they can become trapped in the cycle of poverty. Once the world eliminates gender inequality, the millions of young girls being held back from education and employment opportunities will finally be on a level playing field with their male counterparts.